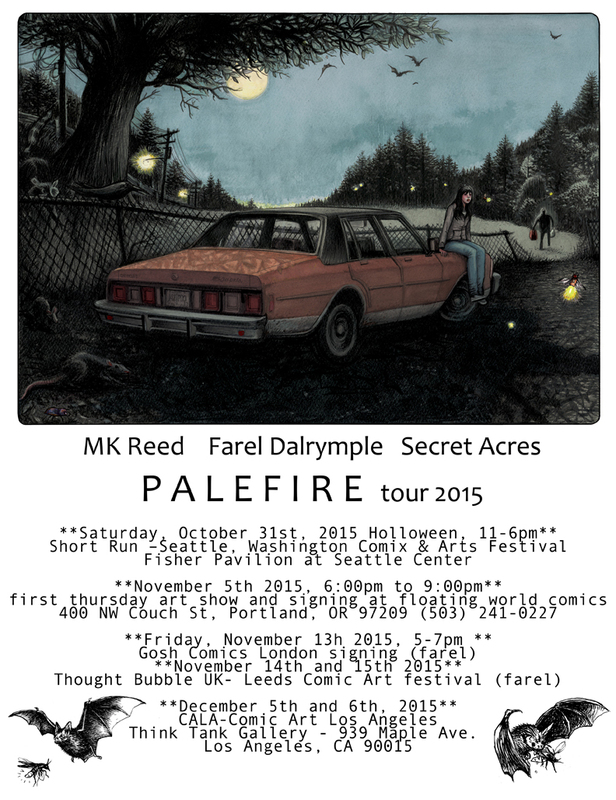 Palefire at short run seattle on halloween and floating world comics in november. 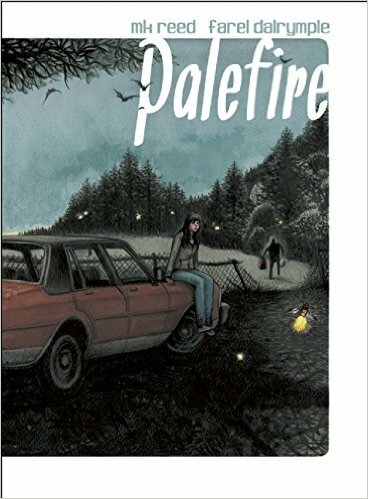 Palefire is out now and available from secret acres. 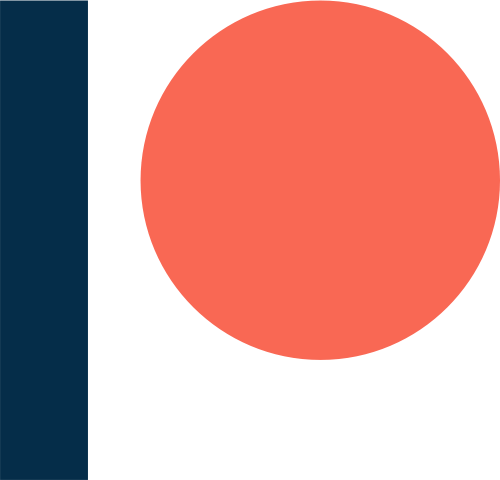 here is a review of the book on slate. 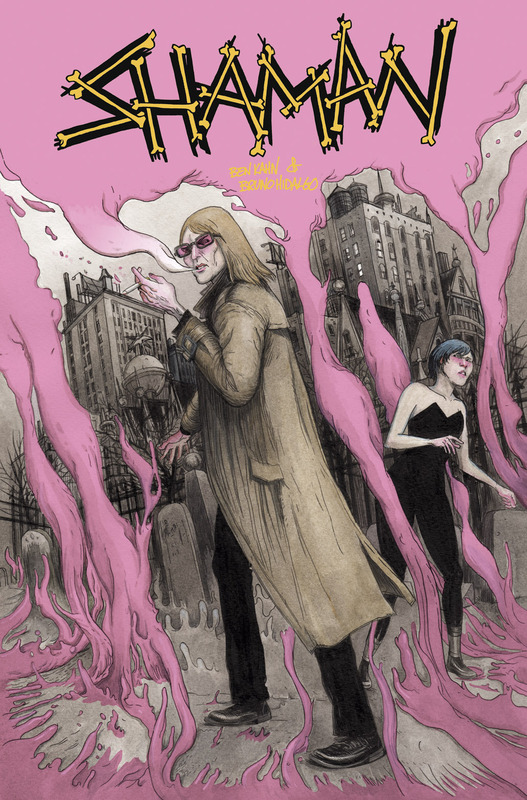 please ask about it at your local bookstore such as Powell’s or your local comic book store, or obtain a copy via secret acres , or even amazon if you so desire. 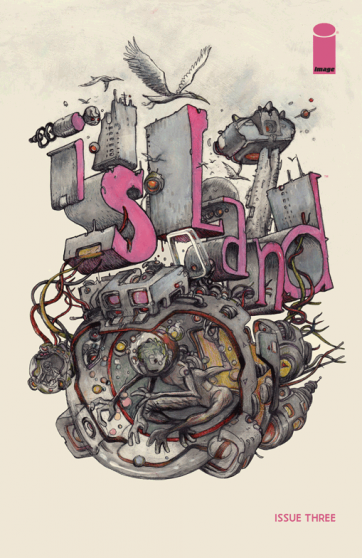 please take a look at at some preview art via image comics and the island insights tumblr . i am pretty much just dedicating myself to drawing my own comic books from now on. so thank you for asking but i am not taking on any other new projects now or anytime in the next couple years AT LEAST. 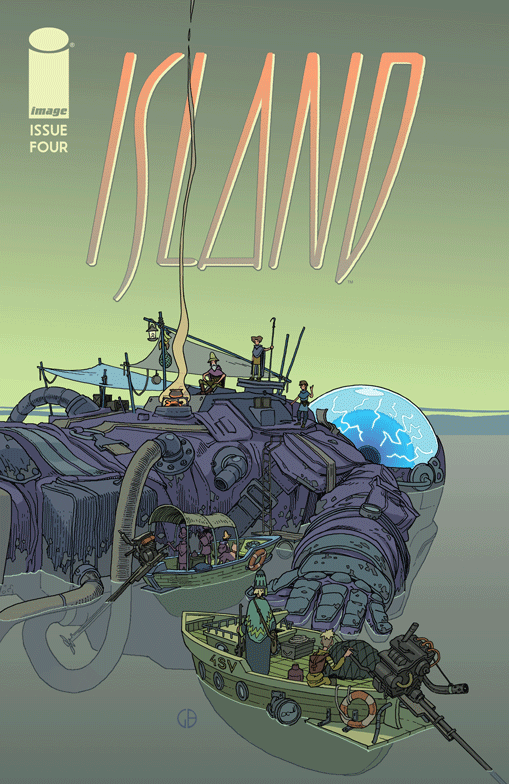 with Farel Dalrymple, MK Reed, Brandon Graham, Simon Roy, Amy Clare, Tessa Black, Robin Bougie and Robin McConnell. and just so i don’t feel like i have left anything undone last month at spx there were 4 brand new books out with my art on them or in them. Grant Morrison. 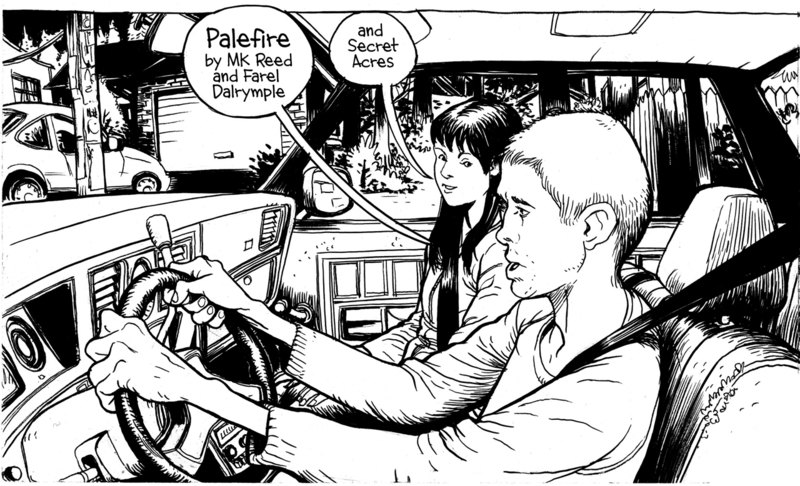 Paul Pope. Dave McKean. Bill Sienkiewicz. 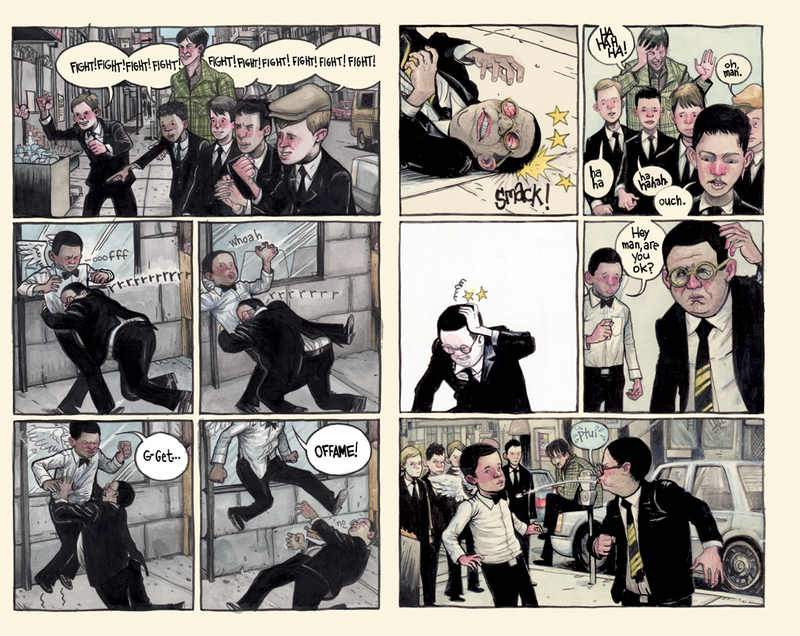 Farel Dalrymple. Yuko Shimizu. David Mack. 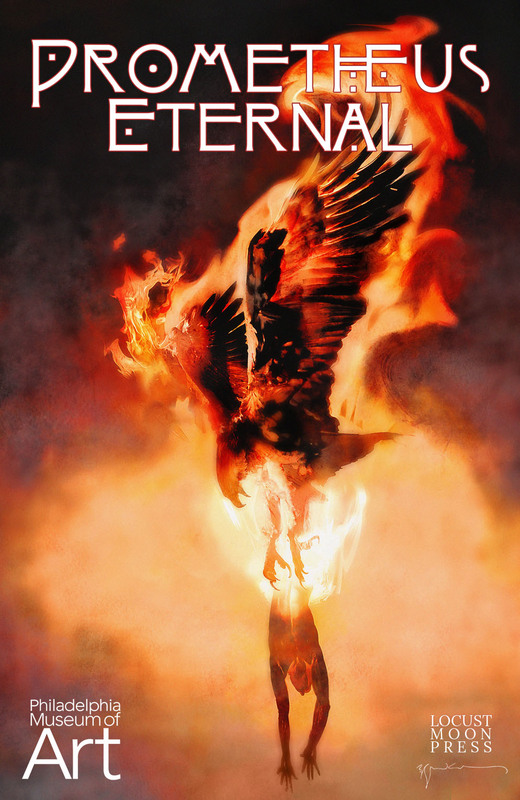 Legendary artists through the ages have interpreted the timeless tale of Prometheus’ gift of fire, creating a powerful visual tapestry that spans centuries. 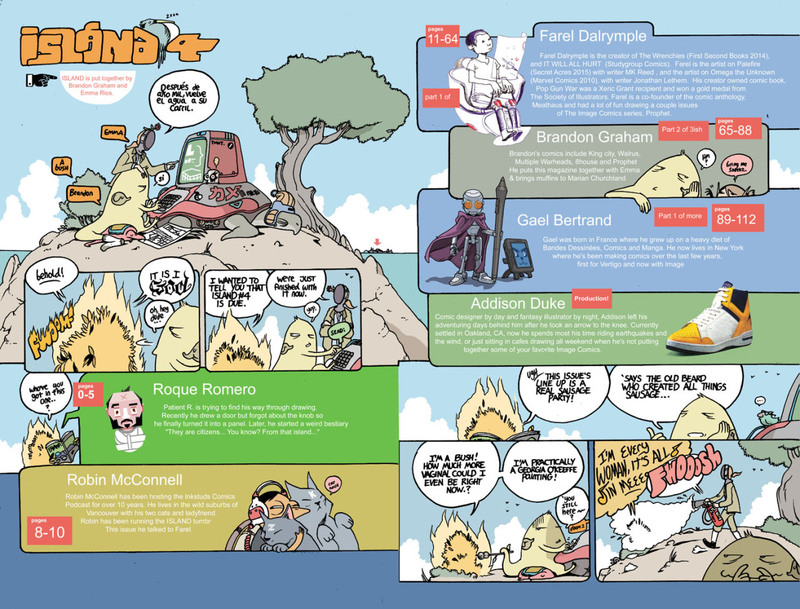 In this landmark collaboration between the Philadelphia Museum of Art and the Eisner-winning minds behind Little Nemo: Dream Another Dream, the torch has been passed to these visionary creators, who together explore the gift of creation and price of defiance. This issue introduces MATT SHEEAN and MALACHI WARD’s sci-fi series ANCESTOR!